2017 celebrated the 100th anniversary of the first significant manifestation of the Polish avant-garde. 1917 was the beginning of the activity of Polish artists on the pan-European avant-garde scene, and the movement itself changed our culture and transformed our reality for the decades to follow. In reference to this significant anniversary, the Muzeum postulated that the culture-creating community should look at the avant-garde in Poland while considering the Polish national heritage. More than 80 institutions throughout the country prepared around 200 various events, joining in the celebrations organized under the auspices of UNESCO. 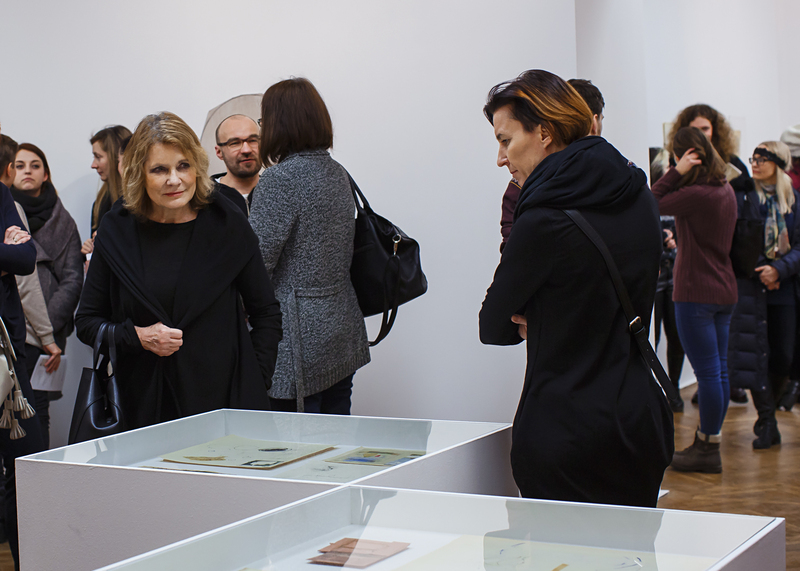 As the initiator of the initiative, as well as the institution most closely associated with the history of the avant-garde, Muzeum Sztuki prepared the richest possible programme to mark those celebrations. Though highly important, this was not the only manifestation of the Muzeum's activity in the past year. In Łódź, the celebrations leading to the centenary of the avant-garde had already started at the turn of 2016 and 2017. 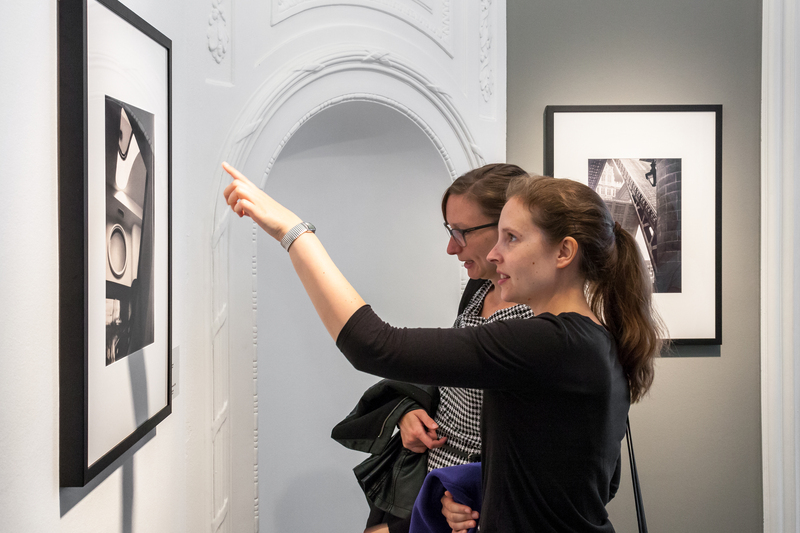 The visitors had a chance to see two complementary exhibitions – both addressing the issues of rhythm and dance. The exhibitions explored the tensions between limitations imposed on societies by multiplicitously understood rhythms of modernity and the emancipatory practices that were emerging around the same time. The first exhibition, MOVED BODIES. CHOREOGRAPHIES OF MODERNITY, taking as a starting point the practice and theory of sculpture by Katarzyna Kobro, concentrated on the idea of ​​organising movement in space. This topic was illustrated in the context of dance, choreography and theatrical practices. 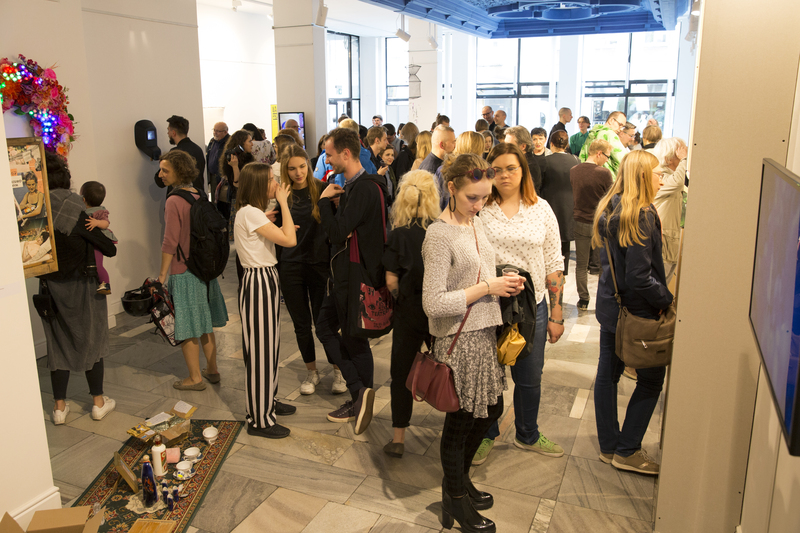 The exhibition was accompanied by a programme of performance and dance activities, as well as an academic conference which was organised in cooperation with the University of Łódź and entitled "How Does the Body Think? Corporeal and Movement Based Practices of the Modernism Era ". The reviews of the activities were collected and summarized in the publication that has just been brought out. 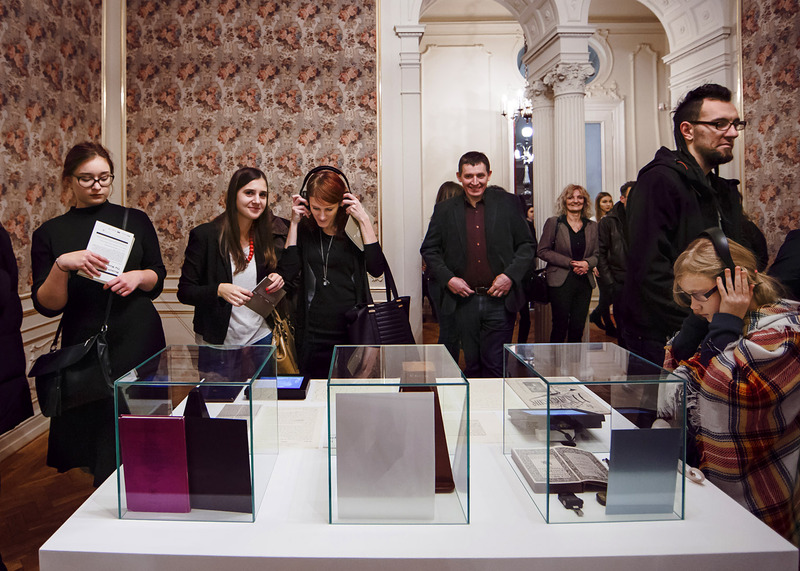 The second exhibition, called THE MUSEUM OF RHYTHM, was prepared based on the writings on the concept of rhythm by Henri Lefebvre, as well as Katarzyna Kobro and Władysław Strzemiński. The project initiated at the Taipei Biennial by Natasha Ginwala, a curator and researcher associated, amongst other groups, with documenta 14, was the result of long-term research exploring the broadly understood rhythm as a principle which organises our life in the era of modernity. 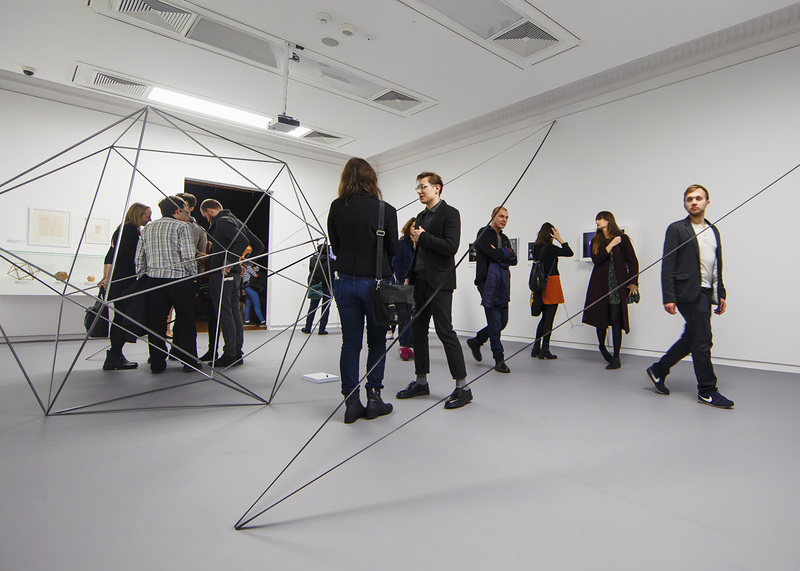 In 2017, as part of the 100th anniversary of the avant-garde in Poland, four more exhibitions were opened: two of them focusing mostly on the mutual relations of various avant-garde groups and movements; two other emphasizing the avant-garde relations with various fields of culture, such as: science and philosophy or artistic criticism. 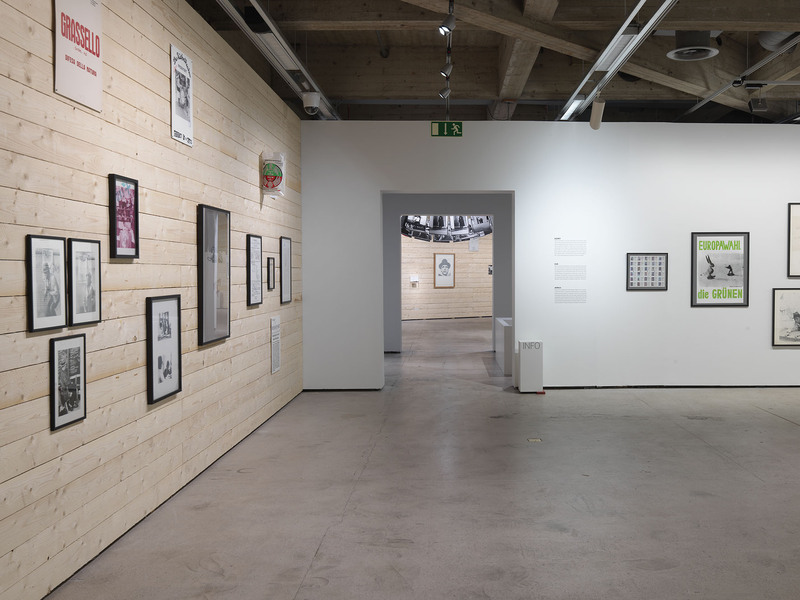 The contacts of Polish artists forming the part of the "avant-garde international" and making a supranational revolution in art were presented in the first exhibition called ENRICO PRAMPOLINI. FUTURISM, STAGE DESIGN AND THE POLISH AVANT-GARDE THEATRE. 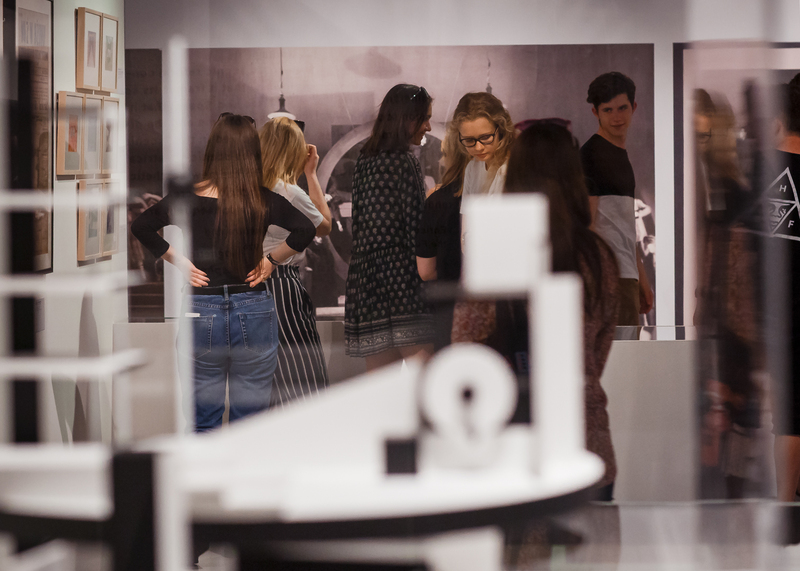 The exhibition explored the topic of mutual influence between Italian futurists and Polish creators of new art, depicted mostly in the context of stage design and theatre space design.Another exhibition organised by the Museum was ORGANISERS OF LIFE. 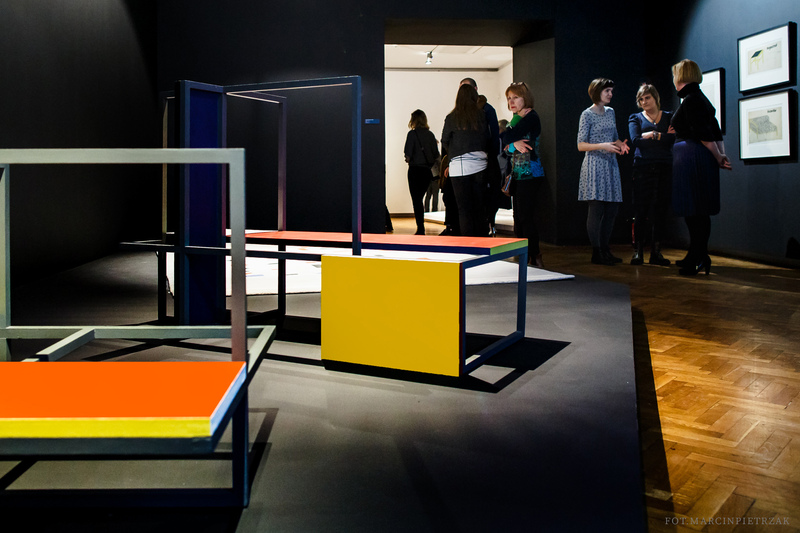 DE STIJL, THE POLISH AVANT-GARDE AND DESIGN. 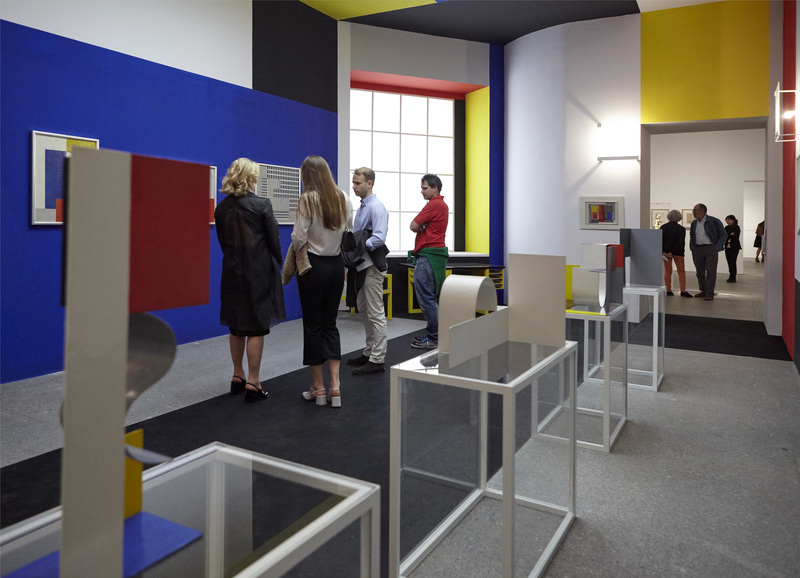 This exhibition showed a common goal that guided Polish avant-gardists and the Dutch artistic group ( De Stijl) to creating a completely new artistic culture, transforming and improving the surrounding world by, for example, designing its surroundings - architecture, interiors and furniture. Next exhibition called SUPERORGANISM. THE AVANT-GARDE AND THE EXPERIENCE OF NATURE referred, on the other hand, to the inspiration that the avant-garde derived from the revolution in the natural sciences, and the new vision of nature that was brought about by this revolution. The aim of the exhibition was, first of all, to undermine the myth that the avant-garde manifested itself only through the negation of nature and the affirmation of human products, that is, following the widely accepted belief: the city, the mass and the machine. MONTAGES. DEBORA VOGEL AND THE NEW LEGEND OF THE CITY is a project that rediscovers the forgotten, yet outstanding, theoretician, philosopher, art critic and literary experimenter, and through the prism of the concept of art theory created by her, creates an interesting commentary to the avant-garde practices of the interwar period. Introducing the most important creators of the Polish avant-garde into the context of international art is the idea that inspired the exhibition KATARZYNA KOBRO AND WŁADYSŁAW STRZEMIŃSKI. AVANT-GARDE PROTOTYPES, presented at the Museo Nacional Centro de Arte Reina Sofia in Madrid. It was the first monographic presentation of the works of these artists in a museum of this rank. Its interpretative key was the assumption that the most permanent aspect of the creative attitude of Kobro and Strzemiński is the imperative of constant experimenting, testing new artistic concepts, which constitute, in fact, the essence of the avant-garde attitude. 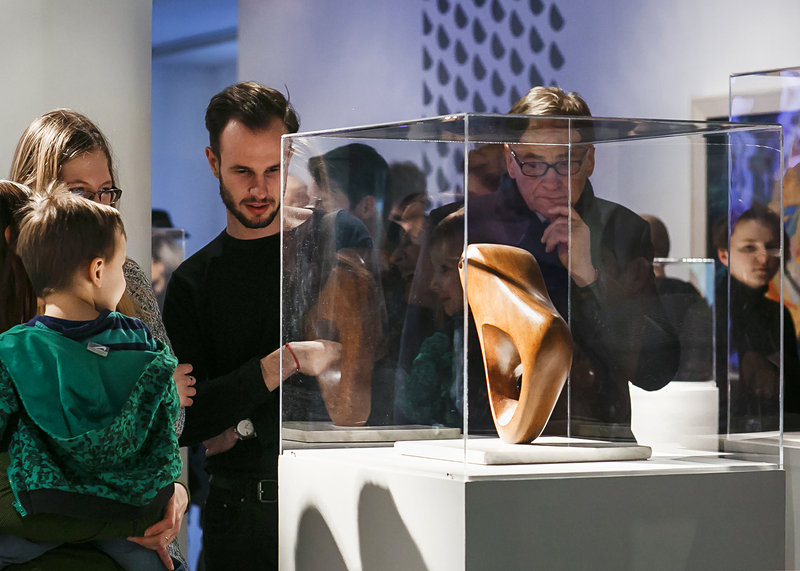 The exhibition received very positive reviews from the Spanish critics and it was viewed by over 100,000 people. In the wake of the success, there are now further presentations of the works of Kobro and Strzemiński being planned, among others, one in the famous Centres Pompidou in Paris. At the Polish Institute in Düsseldorf, you can see the exhibition THE WORD MAY LIE - BUT NOT THE EYE. 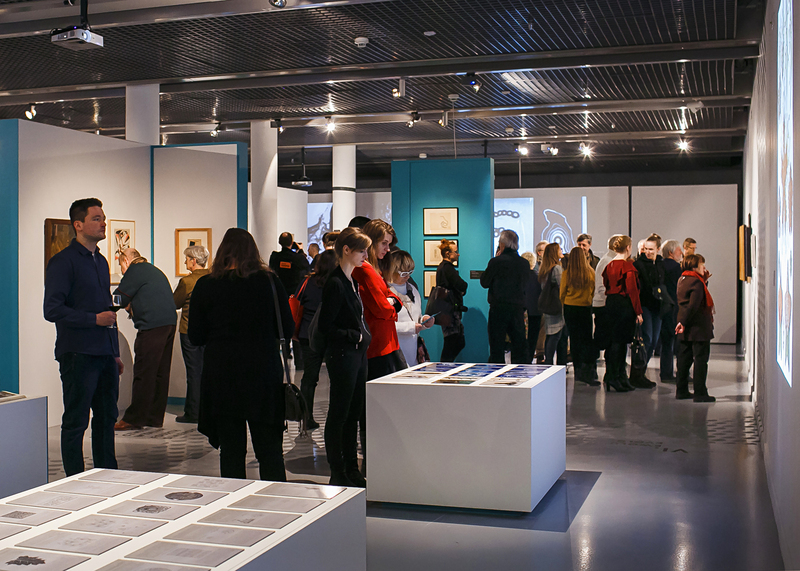 MODERNITY IN POLISH PHOTOGRAPHY 1918-1939, which runs until January 19th, 2018, and presents the avant-garde photography as a new way of looking at the world and an innovative way of registering it. The last exhibition abroad prepared by the museum as part of the anniversary celebrations is PROXIMITY OF THE STRAIGHT LINE. PERFORMATIVITY OF THE AVANT-GARDE, held at the Polish Institute in Berlin (open until the end of February, 2018). It emphasizes the faith of Polish avant-garde and neo-avant-garde artists in the causative power of art, regardless of whether they decided to directly engage in social and political activities, or drew up utopian visions of a future society. In addition to the aforementioned events, in the past year, the Muzeum co-organised two foreign exhibitions not related to the avant-garde jubilee. In cooperation with the Museum of Modern Art in Espoo , Finland, for the first time in 30 years in this country there was organised a monograph presenting the artwork and socio-artistic practices of Joseph Beuys. The exhibition JOSEPH BEUYS: OUTSIDE THE BOX was based on the archive which, as part of the Polentransport campaign, the artist had donated to the Łódź museum. 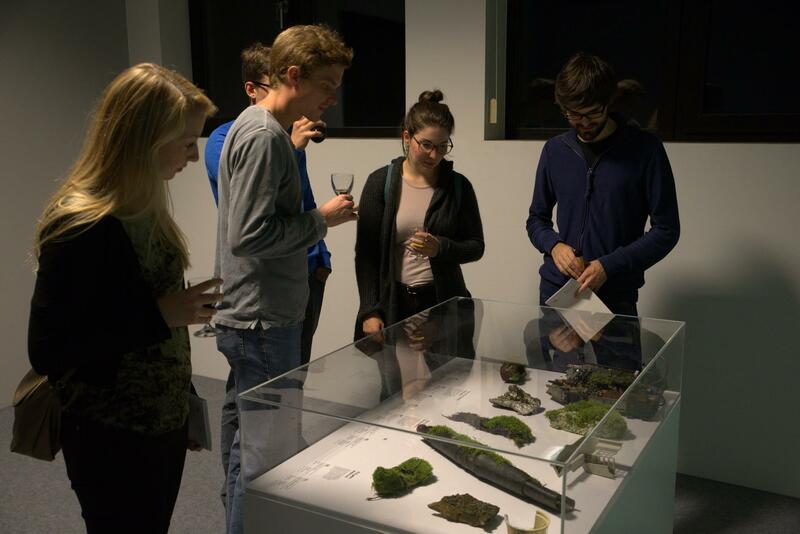 Additionally, the exhibition FOR BEYOND THAT HORIZON LIES ANOTHER HORIZON, open until January 14, 2018, presented at the Edith-Ruß-Haus für Medienkunst in Oldenburg, offers alternative versions of the future not only artistic, but social and economic as well. A wide range of activities that had taken place on the international arena were appreciated during last year's award ceremony of Culture.pl Superbrands, at which the Muzeum Sztuki received the award for the institution that most effectively supports the presence of Polish culture abroad. The exhibitions presented by the Museum in 2017 outside the programme of celebrating the 100 years of avant-garde are primarily monographic projects aimed at bringing the Polish audience closer to the most important , but sometimes remaining in the shadow, representatives of the contemporary artistic scene. The exhibition NAHUM TEVET: WORKS ON GLASS, 1972-1975 presented the works of the most influential artist of the 1970s Israeli art scene. STEPHEN KALTENBACH. INDEX OF POSIBILITIES and IGOR KRENZ. SANYOFICATION. THE MIRACLE OF REPRESENTATION were also devoted to the works of one artist. The works of Kaltenbach, a leading artist of early American conceptualism, are manifestations of his questioning of the existing norms of artistic correctness, with the very title "index of possibilities" highlighting the constant search for alternative solutions in art. 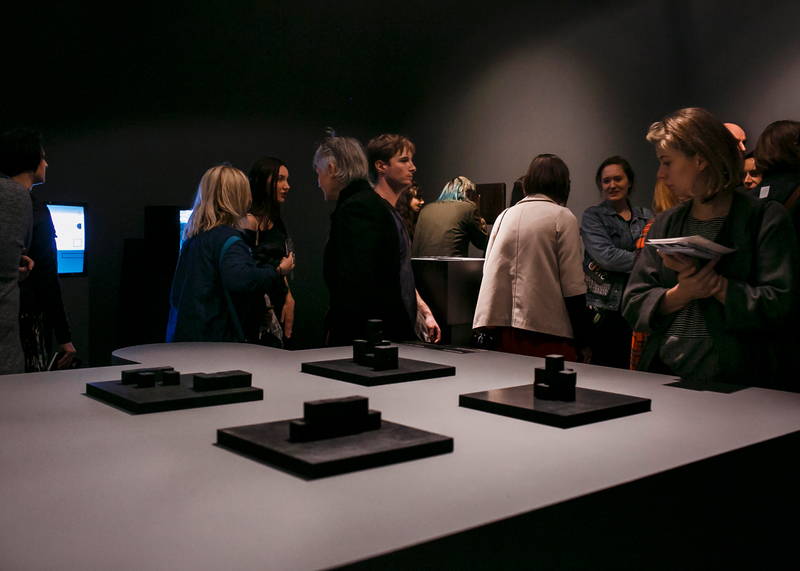 The supporter of new solutions is also Igor Krenz, who in curatorial cooperation with Grupa Budapeszt [Budapest Group], showed that seemingly innocent, accidentally found objects can become the basis for exploring quite complex relationships between the second and the third dimension. The theme of transition was also taken up by artists participating in the exhibition entitled &, which invited viewers to enter the world of labyrinths, built of déjà vu images, subtle similarities and unobvious symmetries. 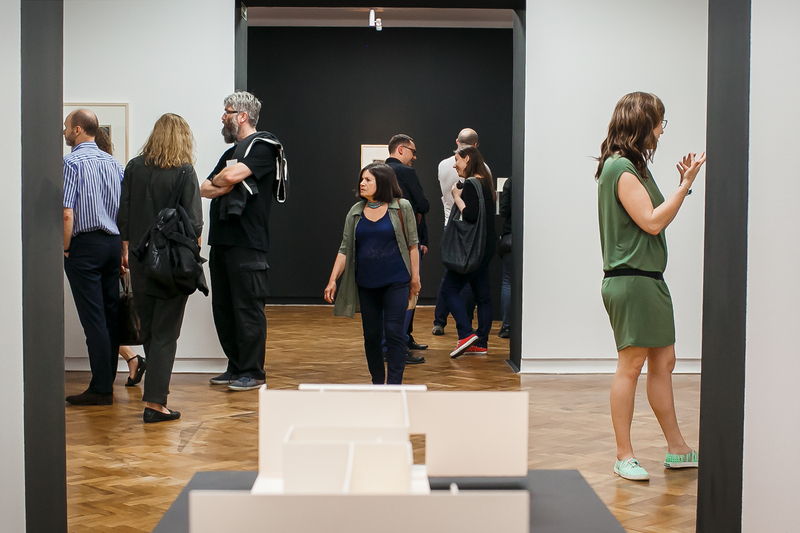 The exhibition presented, among other objects, over 100 drawings by Wacław Szpakowski, one of the precursors of abstract art, as well as the works of Francois Morellet, the creator of geometric abstractions, who focused on the issue of movement in the area of ​work and its reception. The rich exhibition programme is not all that was offered last year. One of the outcomes of a larger educational project was the FIND ART exhibition, the result of the project called “Translocal. Museum as a Toolbox” implemented by the museum in cooperation with three other European museums – collectors of modern art. The task undertaken as part of the project was to raise questions about the museum of the future, its function, form, and even the purpose of its existence at all. Hence, the title of the Łódź exhibition – FIND ART - indicating the exploration of non-standard ways of having access to art. 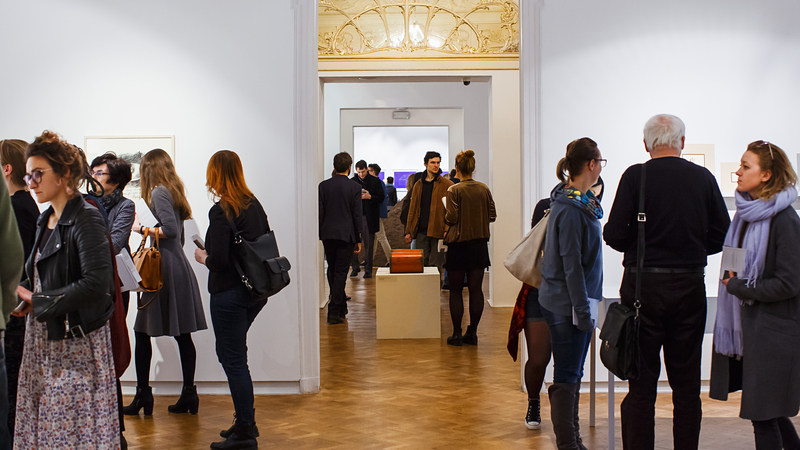 The fact that the group of young people in cooperation with the museum team created the curatorial concept for the exhibition, chose works and designed the exhibition space was not only the introduction of a new method of acting in and with the institution, but also an opportunity to look at the Muzeum Sztuki collection from a completely different perspective. In the past year, the museum further continued its cooperation with the Strzemiński Academy of Art in Łódź, creating a series of educational workshops focusing on publicising art. The joint work of the curator of the museum, artists and students of the Academy of Fine Arts aimed at recognising the process of developing the artistic concept, and one of the effects of the cooperation was the presentation event entitled THE WORKSHOP. For its publishing activities, the development of books of a series dedicated to the 100th anniversary of the avant-garde, the museum received the main prize at the The Visible Museum [Muzeum Widzialne] competition, organised by the National Institute for Museums and Public Collections, whose task is to popularize the best graphic designs used by cultural institutions. The particular volumes of the series, containing texts and articles by the best known experts on topics undertaken in particular projects, sought to look at new avant-garde phenomena from the perspectives formed within current research methodologies, introduce interpretive keys, and re-evaluate fossilized opinions on the phenomena that make up the avant-garde movement. The research results, presented in six volumes, have therefore the potential to become a source of knowledge and inspiration for future generations of avant-garde researchers. Part of the research projects of the avant-garde year was Iwona Luba and Ewa Paulina Wawer's book entitled "Władysław Strzemiński - Always Avant-Garde: Unknown Biography a Reconstruction 1893-1917 ", which is the outcome of, among other places, inquiries in the Russian military archives. The authors present unknown facts from Strzemiński's life (such as his involvement in the First World War when he was not yet an artist), and make bold theses about his biography. A contemporary, interdisciplinary reflection on the function of art museums delineates their new tasks, all circulating around the subject of integrating art with various fields of culture, and additionally working on including art history in the wider context of the humanities studies. 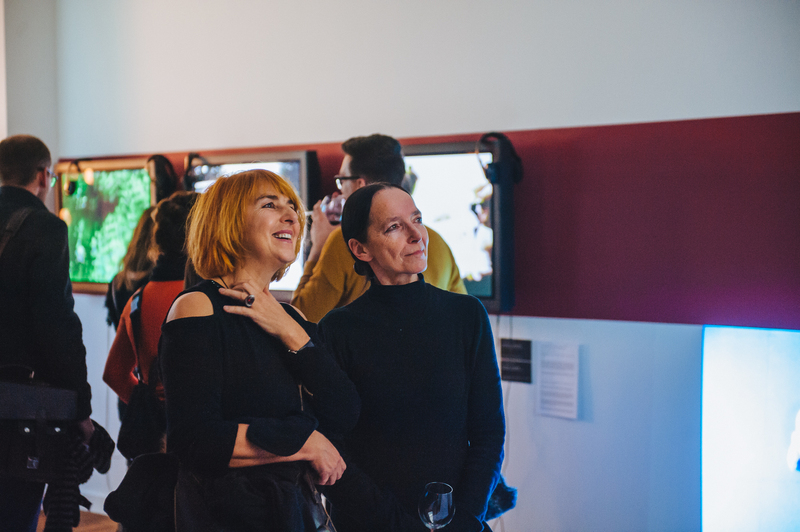 According to these assumptions, a comprehensive public programme was implemented in 2017, including international scientific symposia and conferences, lectures, seminars, meetings with artists and curators, discussions and film screenings. The main aim of the year-long programme was to focus on the close critical examination and updating of the avant-garde heritage for the use of contemporary artistic practices. 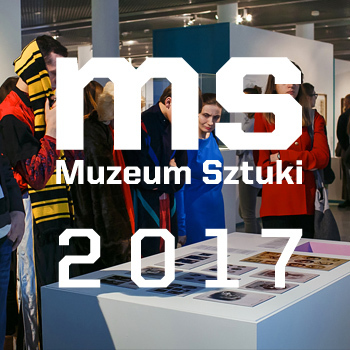 The Muzeum Sztuki invited outstanding specialists from Poland and abroad to carry out these projects. In addition to the conference which accompanied the exhibition “MOVED BODIES” and the soon-to-be symposium on the work of Debora Vogel, we should highlight two large scientific conferences that were prepared in cooperation with the Adam Mickiewicz Institute. The conference entitled ‘’Museum of the Avant-garde Museum or the Avant-garde Museum? Collecting the Radical’’ was attended by the researchers from such academic institutions as: Cornell University, La Universidad Autónoma de Madrid, University of Massachusetts, California College of the Arts, Harvard University or MoMA, New York. All the invited specialists, among other subjects, discussed the beginnings of the institutionalization of the avant-garde and its significance for various activities of museums today. This event was one of a few stages of the long-term project implemented by the Muzeum Sztuki, whose aim is to show the pioneering character on a global scale of the “a.r “ group's compendium – the selection of works that was created and regarded as a collective gift from the most progressive representatives of the European avant-garde of the early 20th century. The conference was also one of the events crowning the celebrations of the avant-garde year in Poland. The second of the two conferences was devoted to one of the most important electronic music studies in Europe, which started the era of electro-acoustic music in Poland - the Polish Radio Experimental Studio (SEPR) and commemorated the 60th anniversary of establishing the institution. It served to present the history of the studio and incorporate it into the field of visual arts, theatre and cinematography, which add on to its obvious links with music. The museum is currently working on a scientific publication to summarize this event. One of the principal missions of the Muzeum Sztuki in Łódź is education. 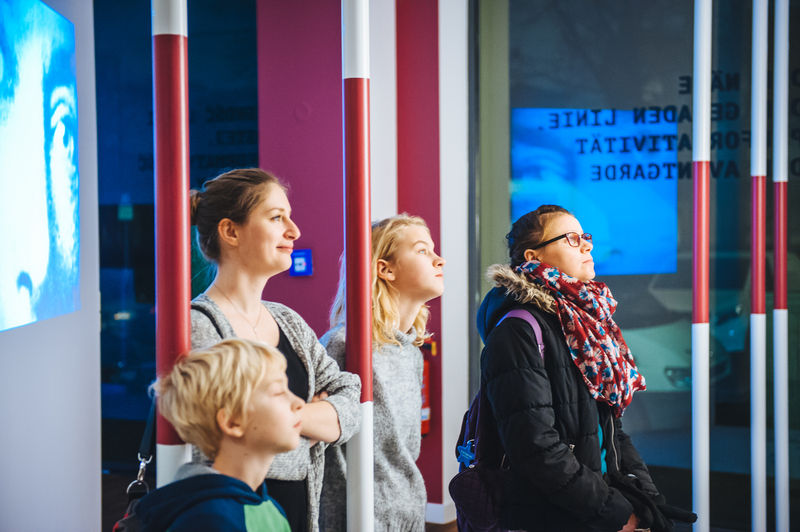 Still back in 2016, the museum became the operator of the Very Young Culture programme implemented under the Culture Coalitions project, one of the most important schemes resulting from the activities of Citizens of Culture, which assumes a realistic and real cooperation between the cultural and educational sectors. In 2017, in the second year of the three-year project, various undertakings were realised, to name just a few: recognition of real cooperation of education and culture in the Łódź region, networking of the environment dealing with cultural education, raising the competences of educators, and supporting the provisions of small grants for local initiatives. 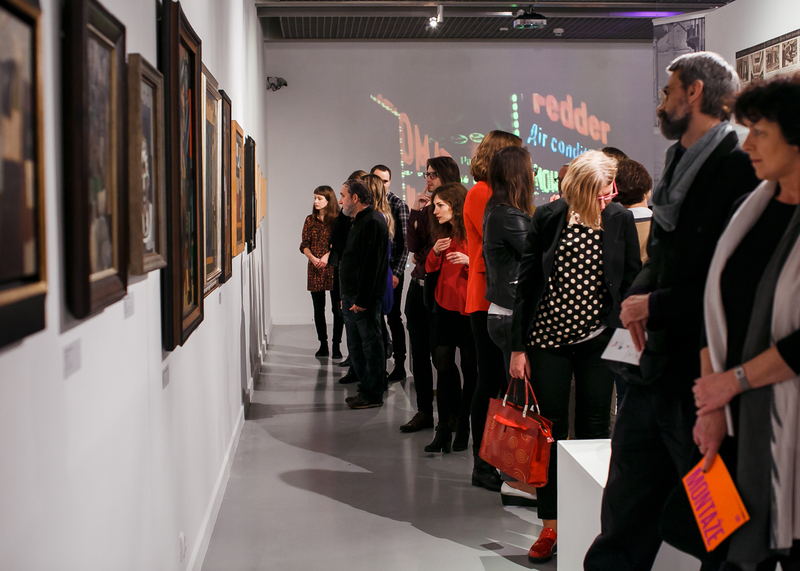 In the avant-garde year, the Avant-garde without Borders project was also carried out, involving, for example , facilitating the accessibility of the core artworks of the 20th and 21st century Art Collection to the blind and the visually impaired, to people who are deaf and hard of hearing, as well as to people with an autism spectrum disorder. In the past year, the project “Modern access system to the offer of the Muzeum Sztuki in Łódź” was also launched. As a result of its introduction, a modern portal enabling presentation and access to the museum's collections in a digital version has been and is still being prepared . It allows, among other things, to book and purchase tickets online. One of the most important responsibilities of the Muzeum Sztuki in the past year was to ‘make a statement’ on a national and international scale that the avant-garde is an integral part of the Polish national and world heritage. This will also be an obvious goal of our institution for the years to come and it will be continued throughout the 2018, when in two large-scale exhibitions we will be presenting the complicated relationships between the avant-garde and the state, as well as the repercussions that the Great War brought to the avant-garde art. In addition, after the Madrid success, the exhibition of works by Kobro and Strzemiński will have its two new openings: at the Centre Georges Pompidou in Paris and at Moderna Musset in Malmö. 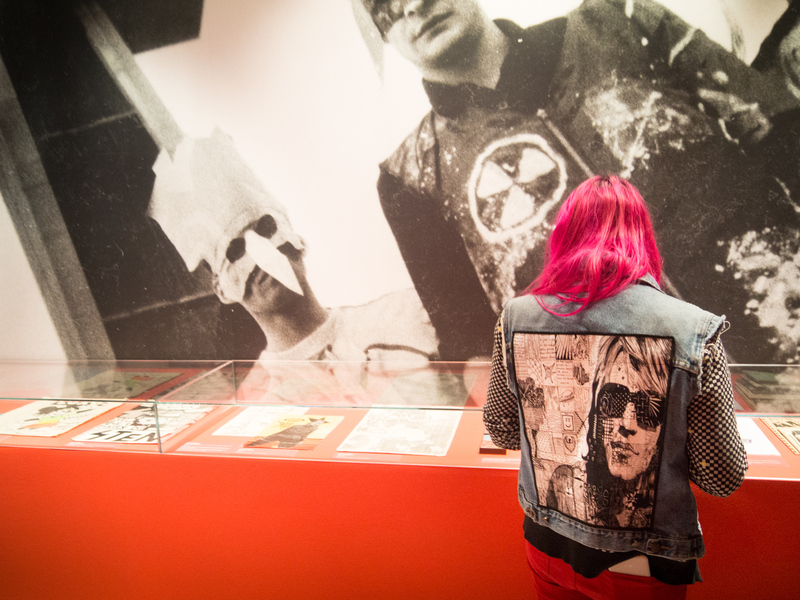 As part of these and subsequent projects, the museum will continue to prove that the legacy of avant-garde is an unflagging source of inspiration for contemporary artistic and cultural practices.